An explosion in extreme wealth and income is exacerbating inequality and hindering the world's ability to tackle poverty. 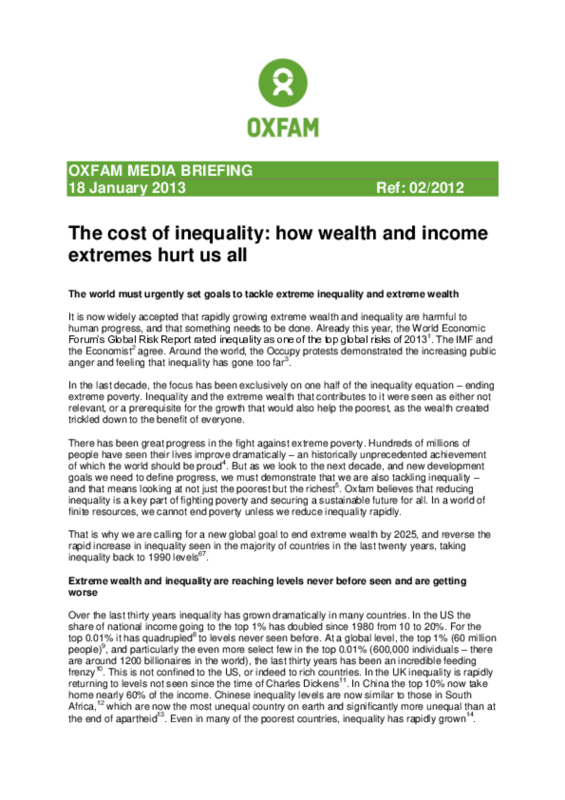 The $240 billion net income in 2012 of the richest 100 billionaires would be enough to end extreme poverty four times over, according to this Oxfam media briefing. It calls on world leaders to curb today's income extremes and commit to reducing inequality to at least 1990 levels.